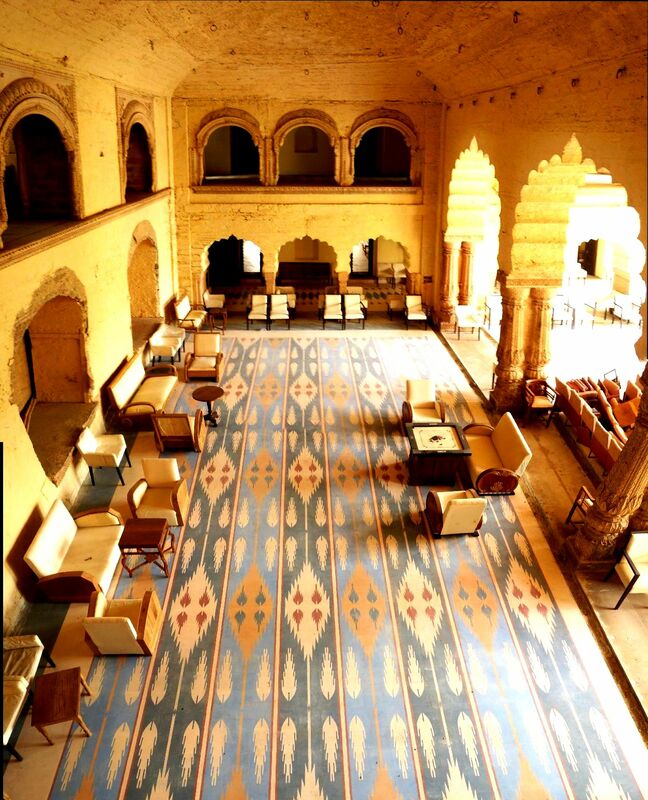 When it comes to restoration of heritage properties….the masters of the game is none other than Neemrana Hotels….having restored many historical ruins over the last two decades the latest one is the magnificent and massive 19th century tijara fort. 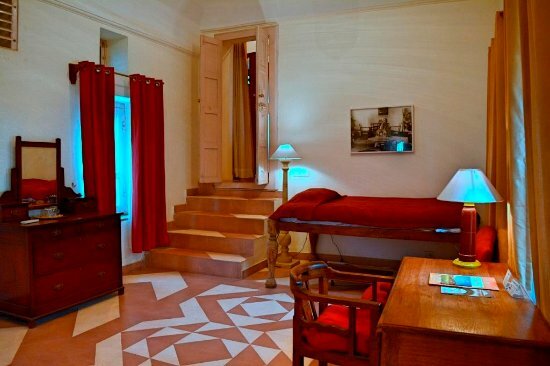 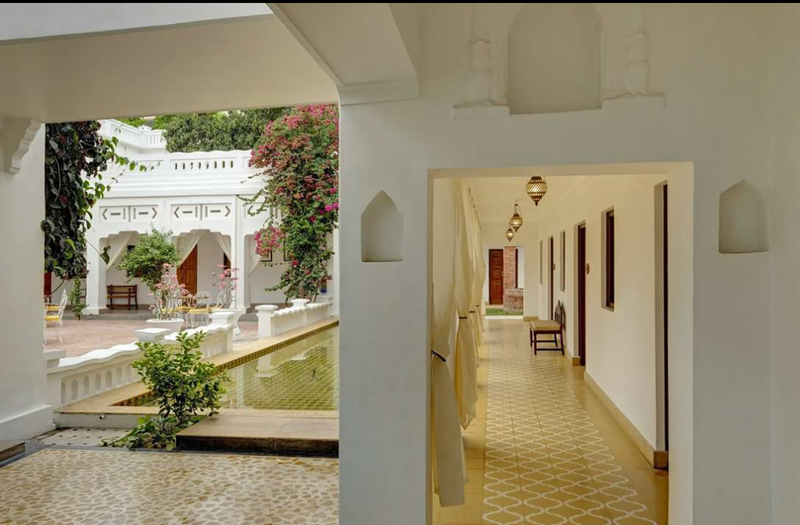 While having the rooms named after the leading lady artists of India..a tribute to there work…each and every room will give you a feel of non-hotel … That is the neemrana way. 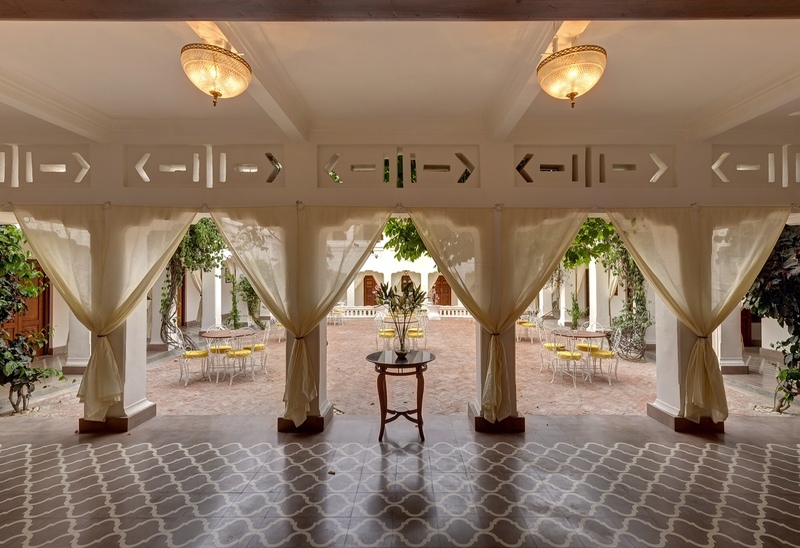 We are once again glad and thankful to Mr. Aman Nath, Chairman Neemrana Hotels for choosing us as there flooring partner. 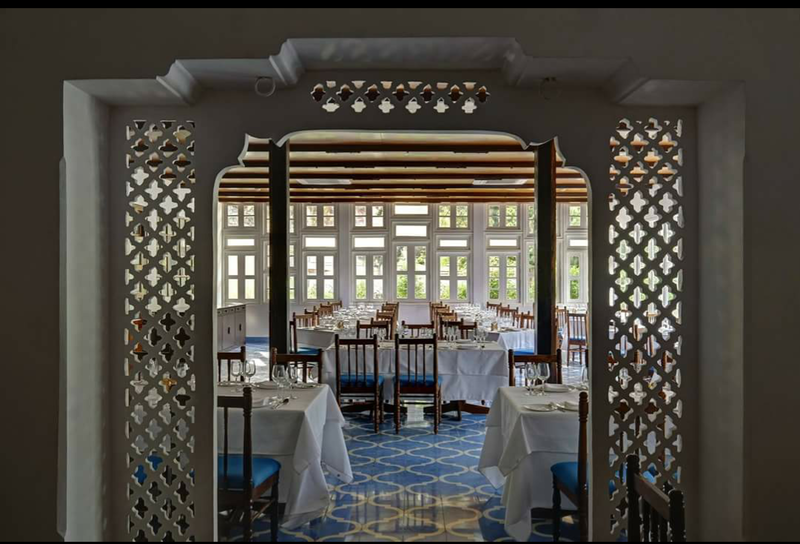 When punjabi food comes to your mind the top of the mind recall is Punjab Grill , a fine dine restaurant famous for its mouth watering North Indian and Punjabi food. 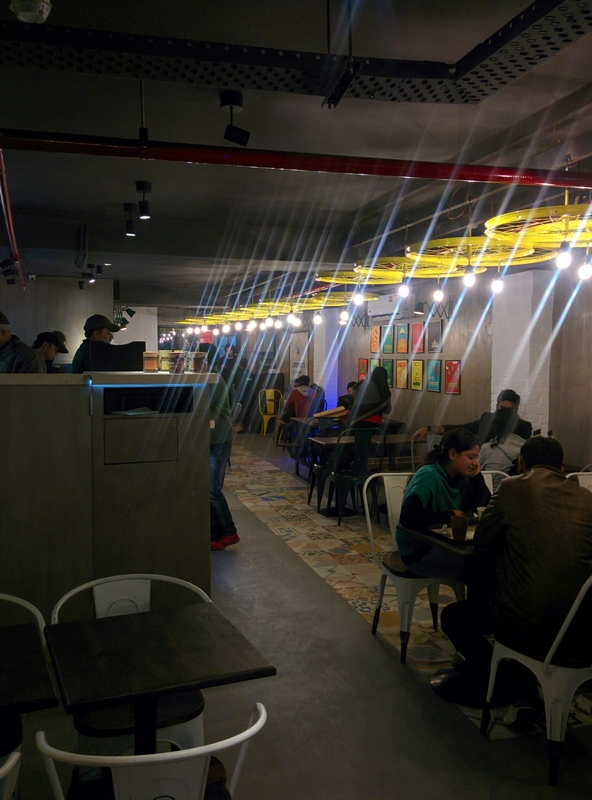 We are glad to be a part of this restaurant chain …. 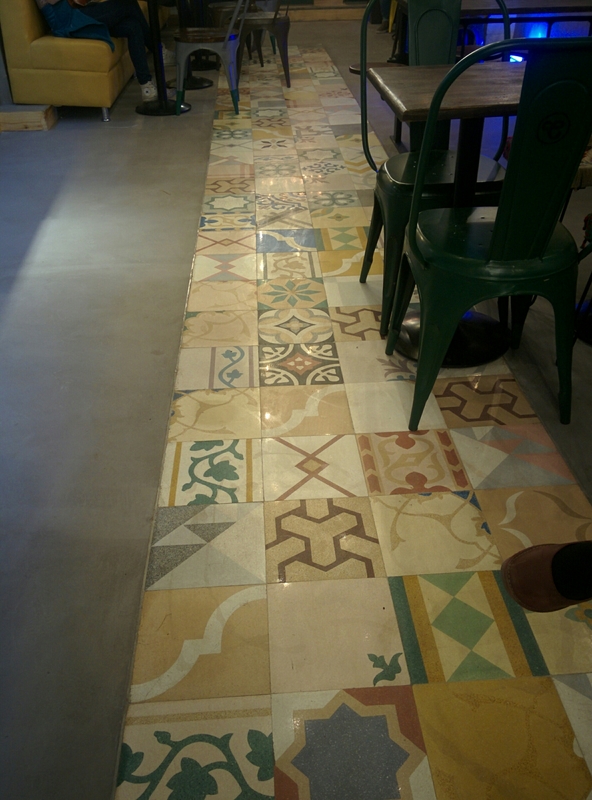 To start with the flooring at there newly opened outlet in Hyderabad. 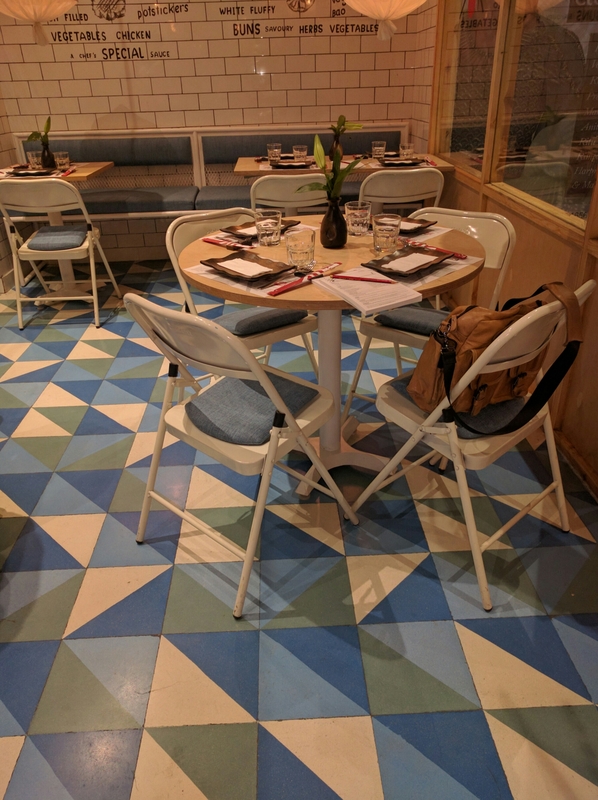 My all time favorite Herringbone pattern has been used on the floor….by doing so the designer has given a very Uber-Chic feel to the entire space. 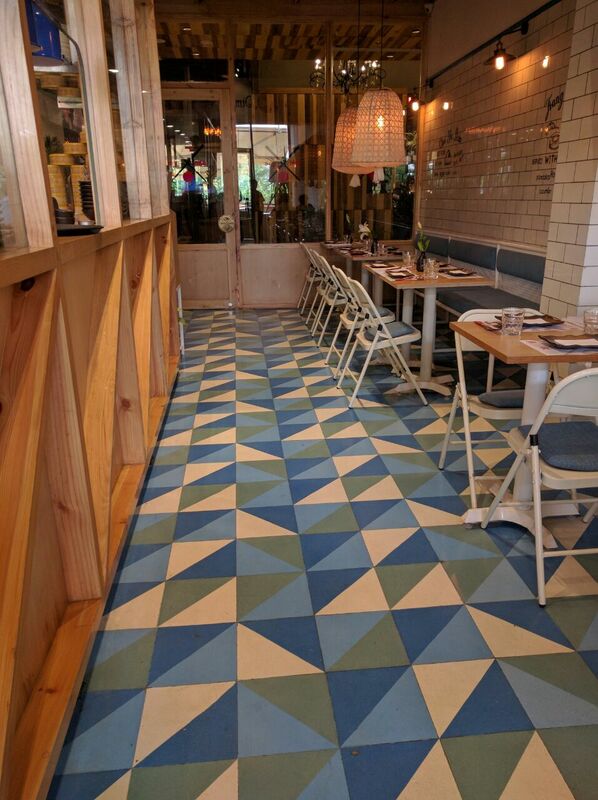 We recently did flooring for this restaurant Dimcha @epicuria mall, nehru place, famous for its mouth watering Oriental Cuisine. 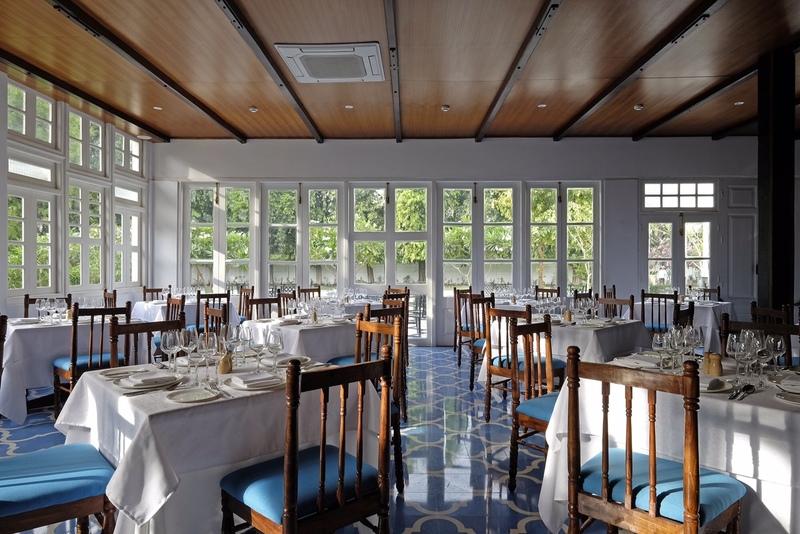 Overall the blues….greens and whites makes a perfect color combo giving a very lively feel to the entire place. 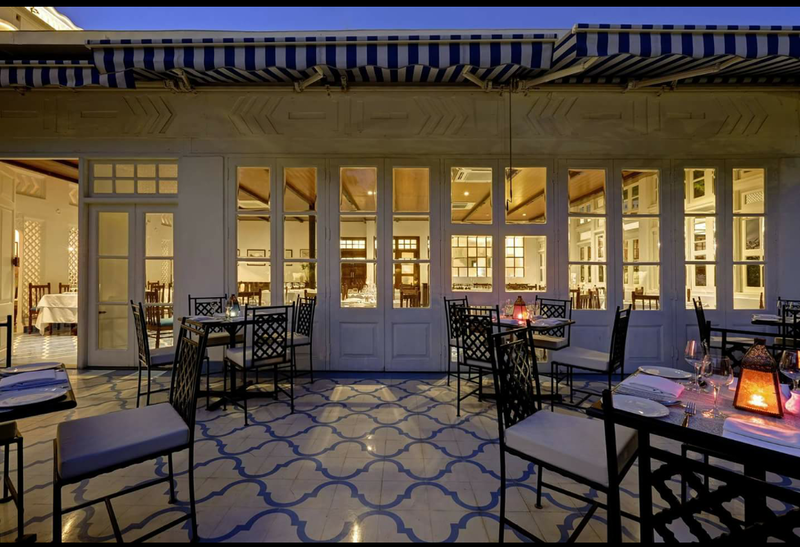 When you hear about Lucknow few things comes to your mind…..sumptuous food….tehzeeb (mannerism)….cultural heritage and off course tundey kebab. 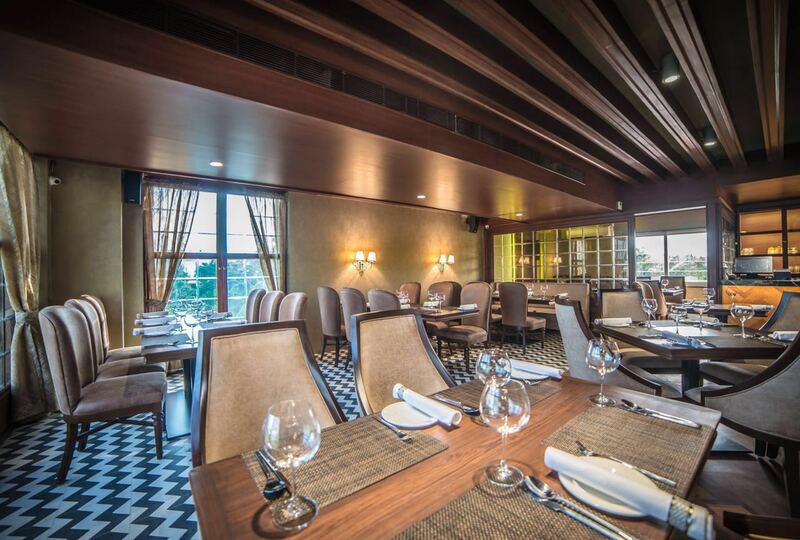 Adding one more feather to its cap…the city has now Lebua Lucknow. 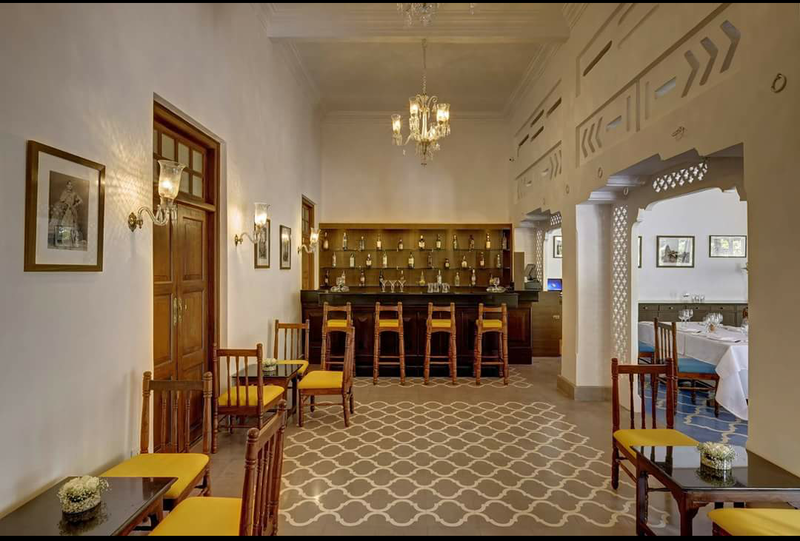 A luxury boutique heritage property conceptualised as a sprawling traditional bunglow which will take you to the early 1900’s because of the Art Deco architecture of the entire property. 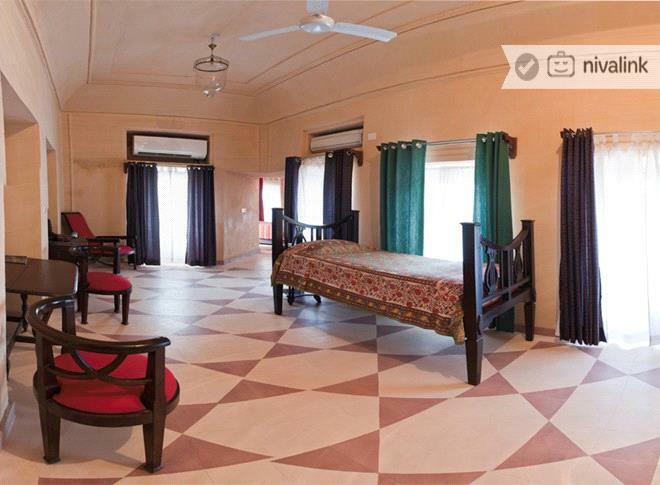 Special mention and thanks to the owners of the property….the creative duo Nayab Bakhshi and Mohd. 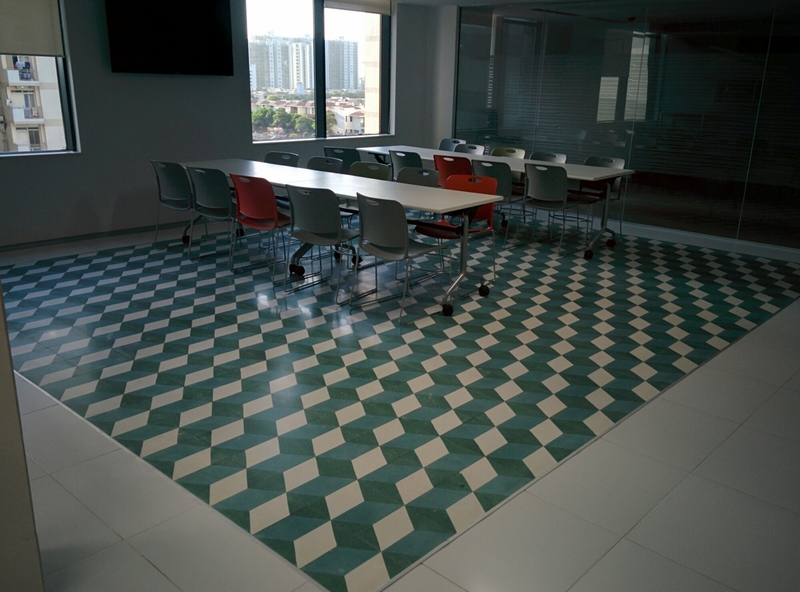 Abdullah for choosing our tiles and we are more than glad to be a part of this amazing property. 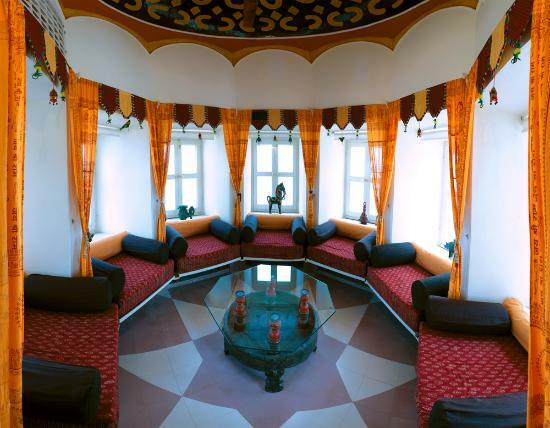 Enact your own History…..says the tagline of newly opened heritage property of Neemrana Non Hotels – The Tijara Fort Palace. 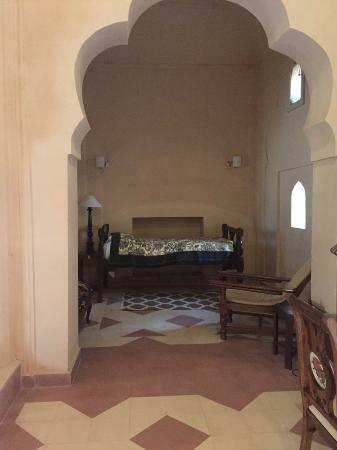 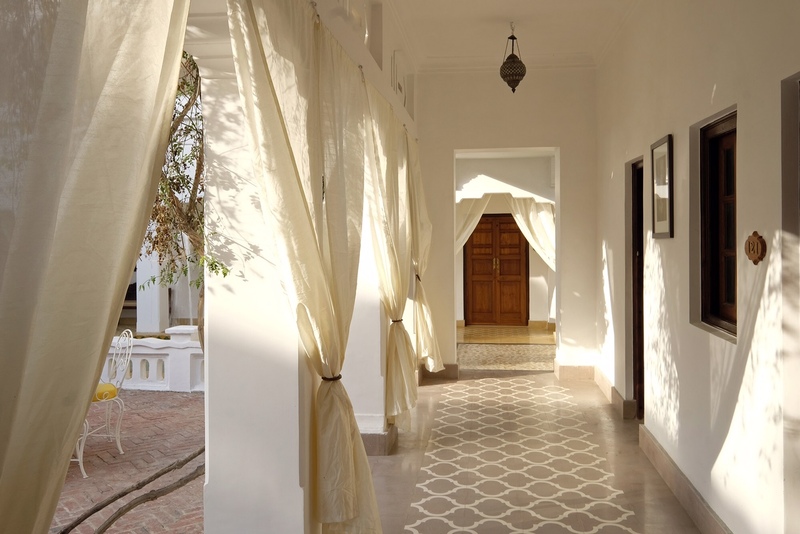 Each and every Neemrana Property teaches us how it’s not the relentless conservation of singular, old buildings but the creative use and adaptive reuse of a complex of historic buildings in their larger context that gives the best results. 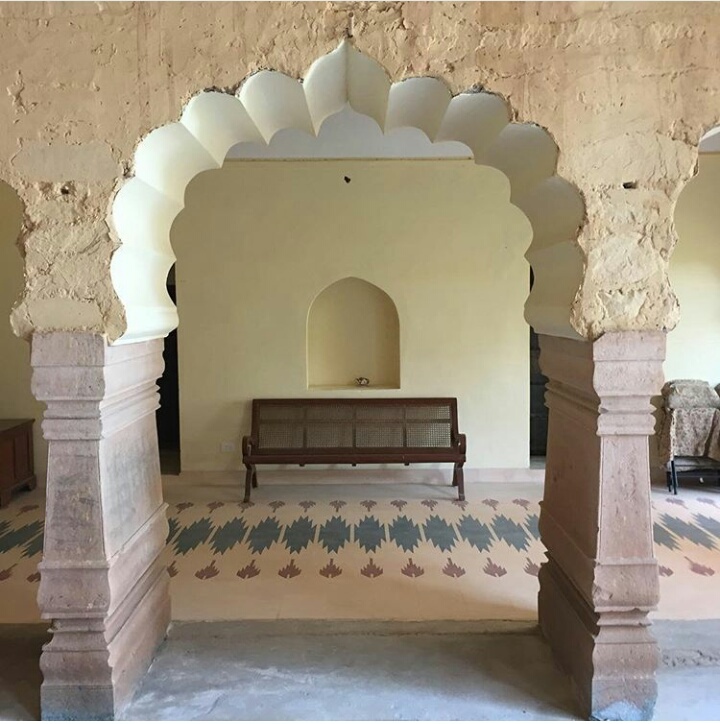 This post is dedicated to only one area at Tijara Fort Palace where lot of effort has gone to materialise the design part. 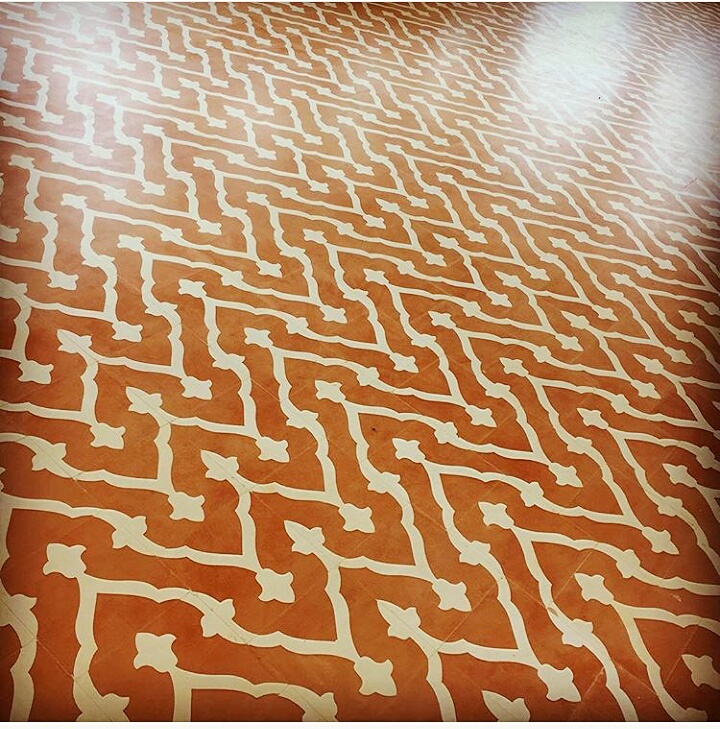 The design which is made out of 18 different patterns which makes a complete design and looks like a large durrie [dur-ee] (A Cotton Carpet Made in India) reminiscent of what was used in that era. 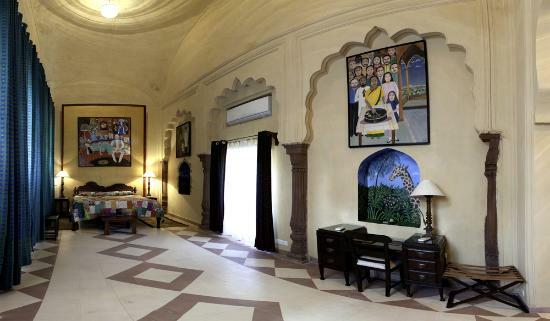 Once again hats off to Mr. Aman Nath (Chairman, Neemrana Hotels) for developing such a masterpiece and trusting us to give it a shape. 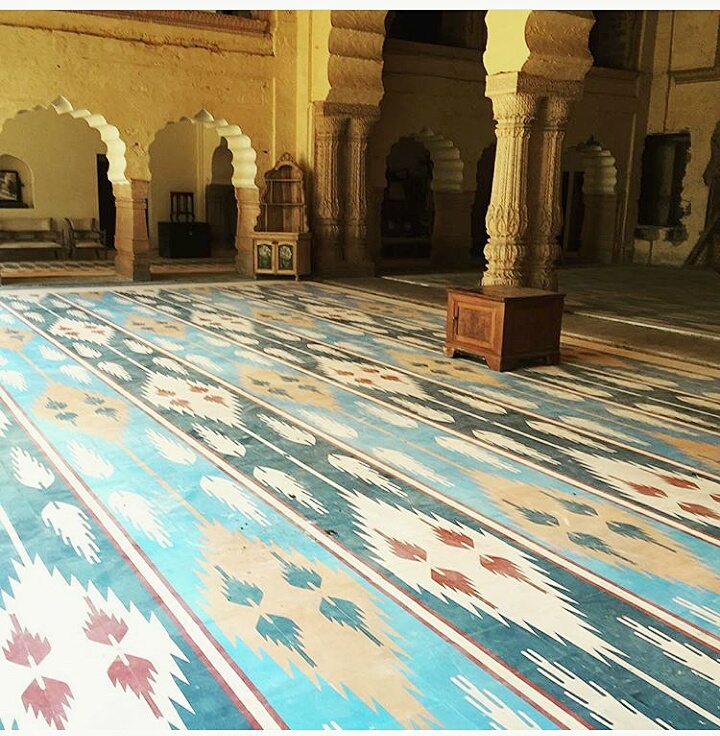 Stay tuned for more amazing flooring images which is being used all over the fort. 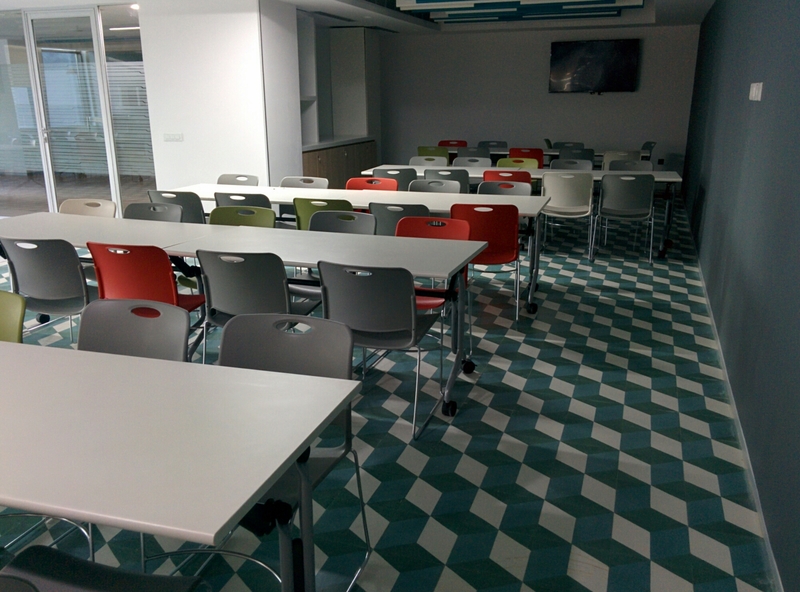 Boston scientific recently opened there huge office in Gurgaon. 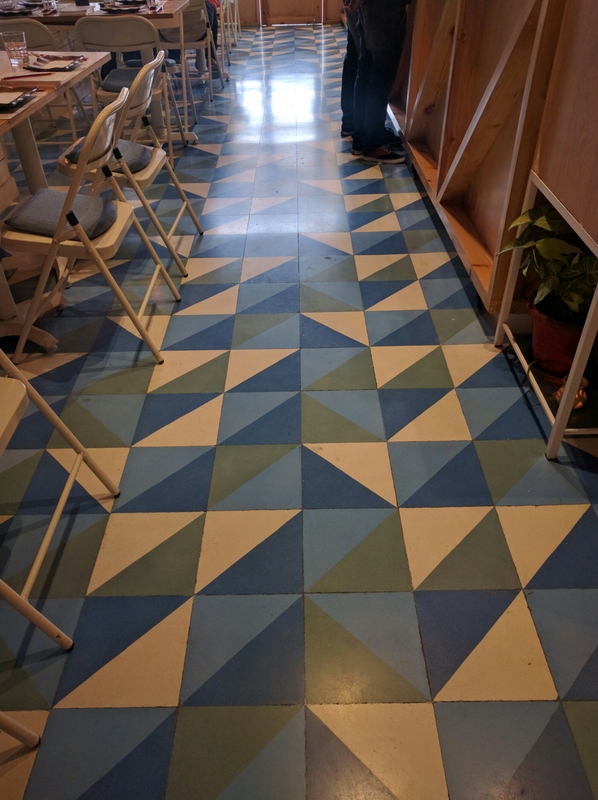 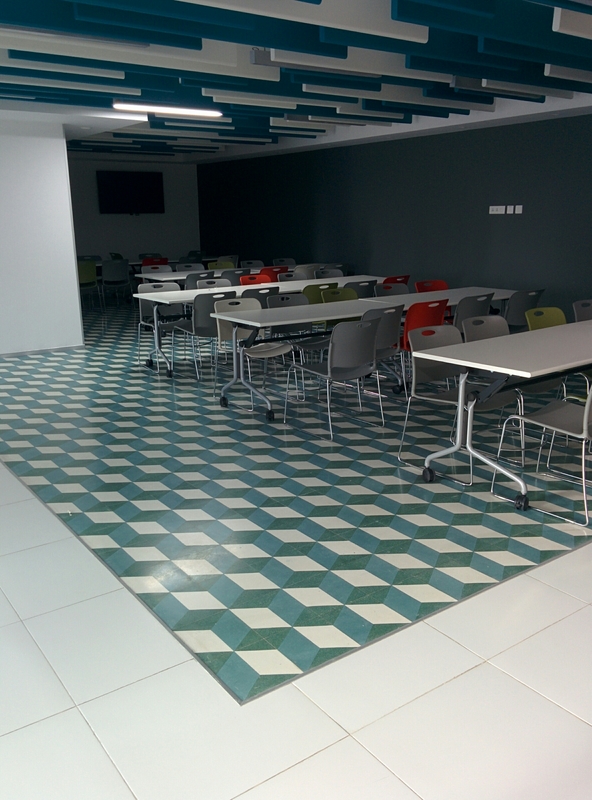 Our one of the 3D Pattern tiles were used in the Cafeteria…thereby giving a Uber fancy Cafe feel to employees. 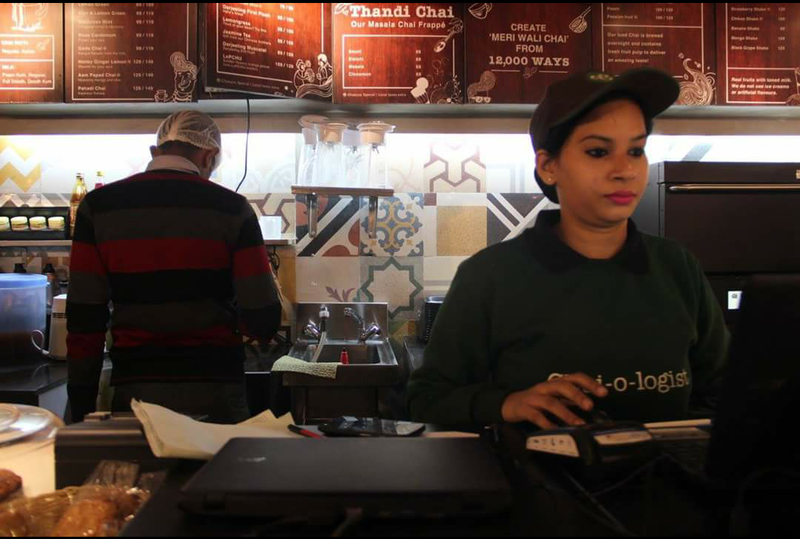 Proud to be a part of Chaayos Family….starting with there newly opened outlet in the heart of capital at Connaught Place. 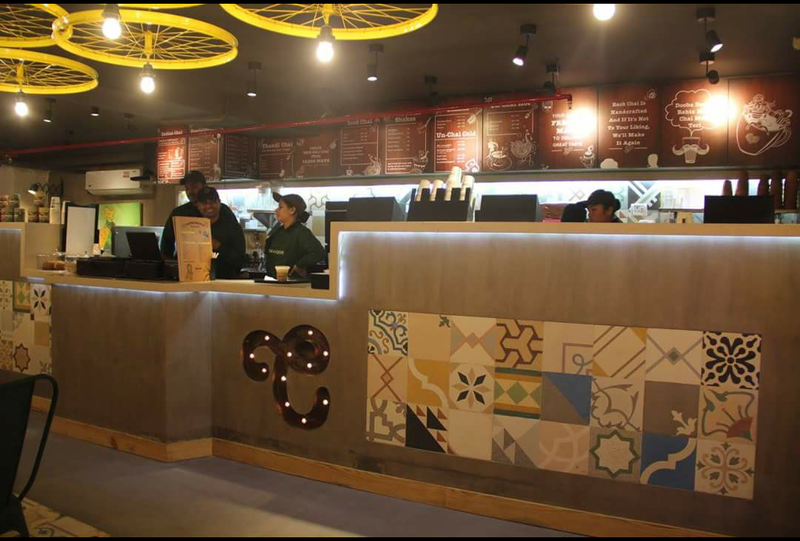 Random patterns used as a runner through out the length of the cafe mixed with usage at counters and backsplash gives a trendy feel to the entire cafe. 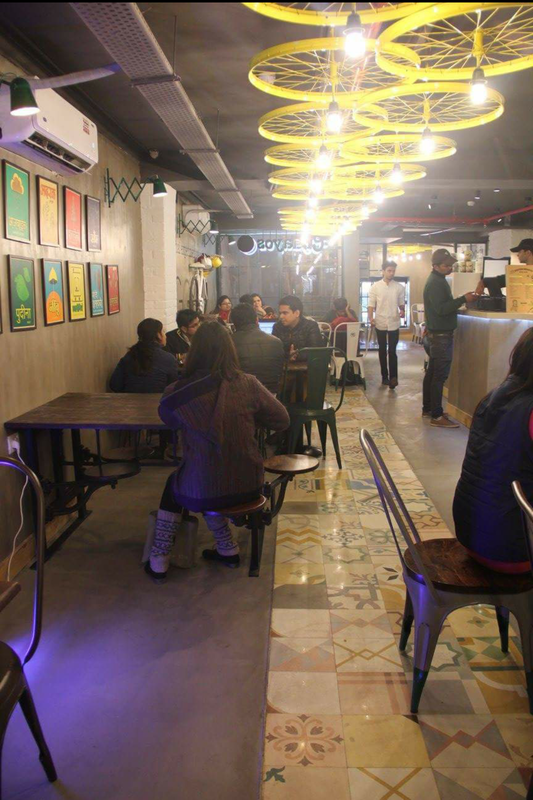 Congrats to designer duo megha and pallavi from Peoples of Yellow for doing a great job.